As a Mom of two busy little ones, a runner and the wife of a runner, I understand life on the go. I also understand that to fuel that life, the right products make all the difference. When it comes to water bottles and food storage systems, I had – until now – a hard time finding a solution that fit our lifestyle and our priorities as a family. Tagged with “A bottle for every adventure,” I was intrigued. I was also excited to give it a go and couldn’t wait to start testing the day this group of products arrived on my front steps! It seemed as though there was something for the whole family; that early assessment was 100% correct. 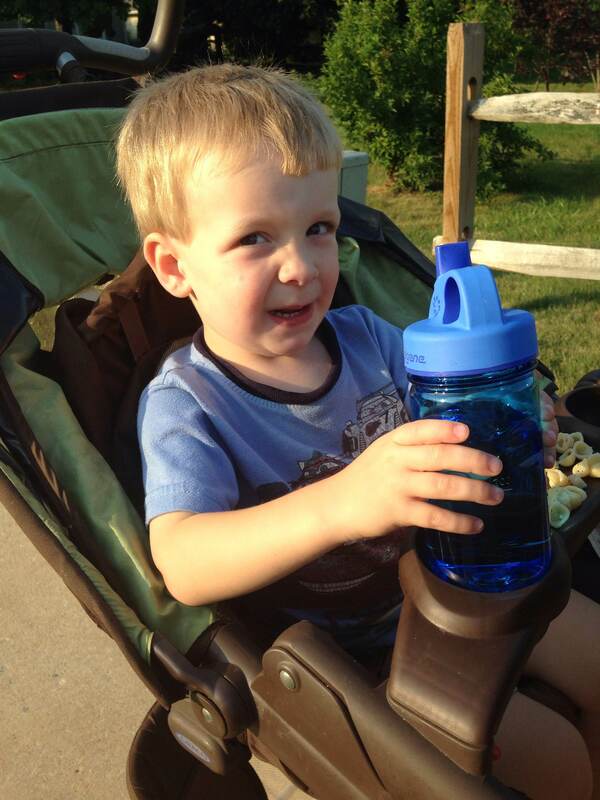 I started out that night by bringing the fun blue On-the-Fly and Grip-n-Gulp bottles on our family walk. 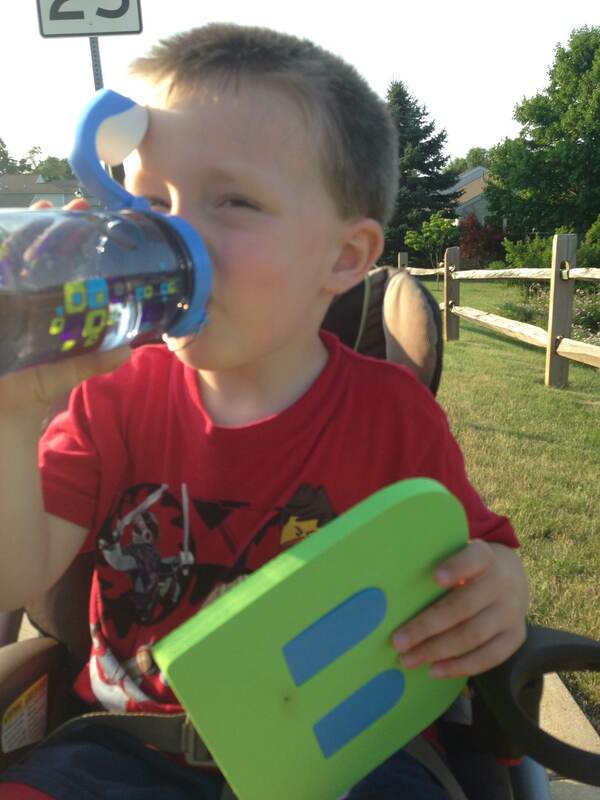 The boys were so excited to have a water bottle like Mommy…it’s hard to find that sort of thing! The OTF was easy for my oldest to grip and to manage the opening and closing. He was so proud! The grip-n-gulp was great for my little guy. It didn’t spill, crack or scratch, even after multiple “throws.” What can I say, he has an arm :). He could easily get a drink and I didn’t have to worry about the mess that generally follows toddler drinks on the go! I have to say, my 24 ounce OTF – the same model as the 12 ounce but better for adults – was a great addition to my own lifestyle. 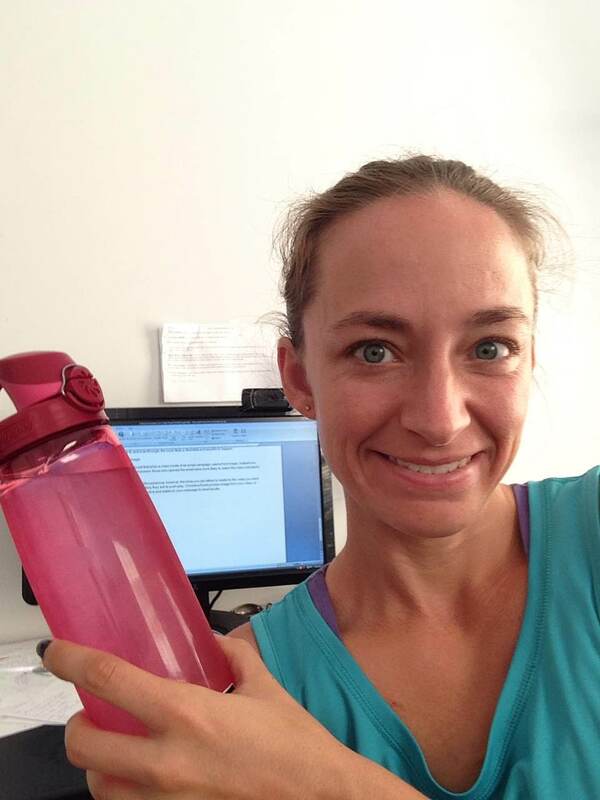 I’ve kept it on my desk to keep hydrated during the day, have brought it to the gym and carry it around wherever I go! The color is wonderful, but, my favorite feature is the opening. With a single click, I have access to a clean mouthpiece that’s easy to drink from and just as easy to close back up. No mess, no leaking, no fuss means perfect in my book. Easy cleaning – all of my samples have gone through the dishwasher without any cracking or discoloration and we run on high heat/sanitize every time. Zero leaking. I can’t say that enough. A lifetime guarantee. 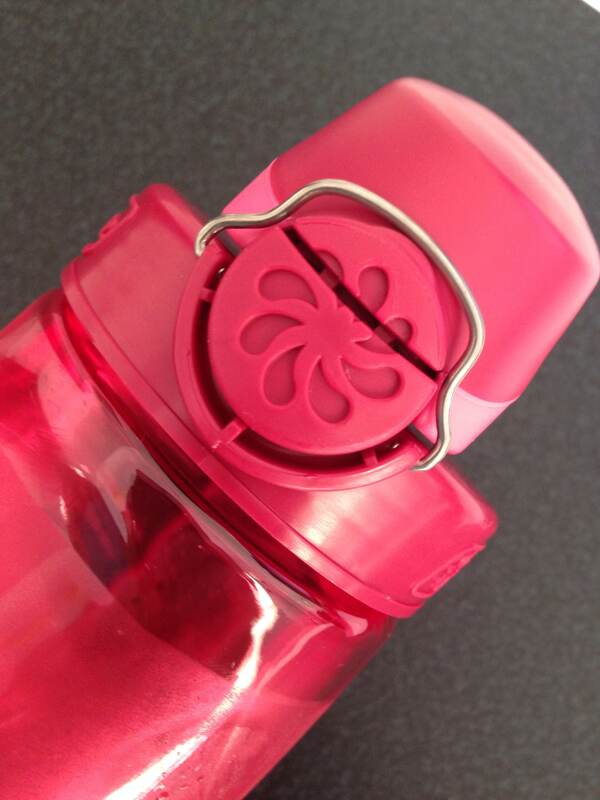 I don’t see any reason to use it, but all Nalgene products come with a guaranteed replacement if something goes wrong. They’re made in the USA…this matters to me. BPA and BPS free – no worries about chemicals. All in all, these products were fantastic – I cannot think of a single complaint. 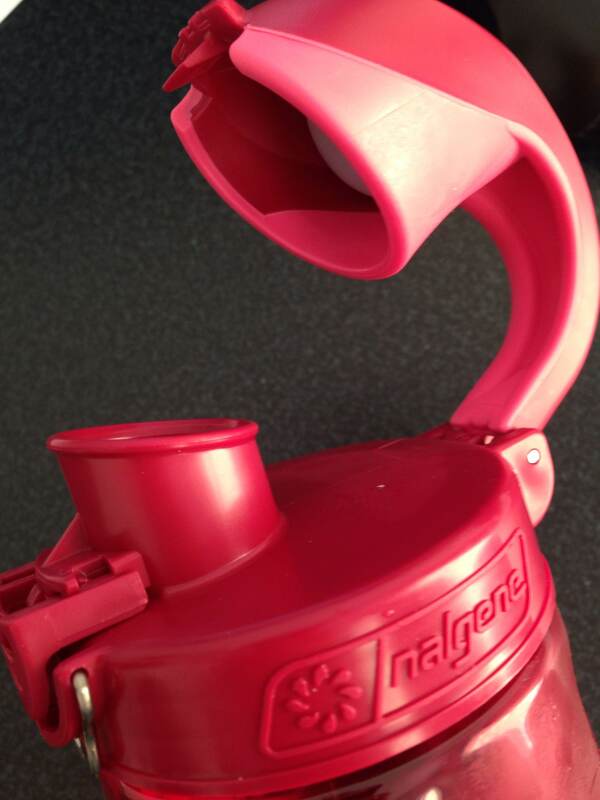 I can say with confidence that Nalgene products are an excellent solution for families on the go and athletes looking for products to improve their training regimens. Want to give them a try? 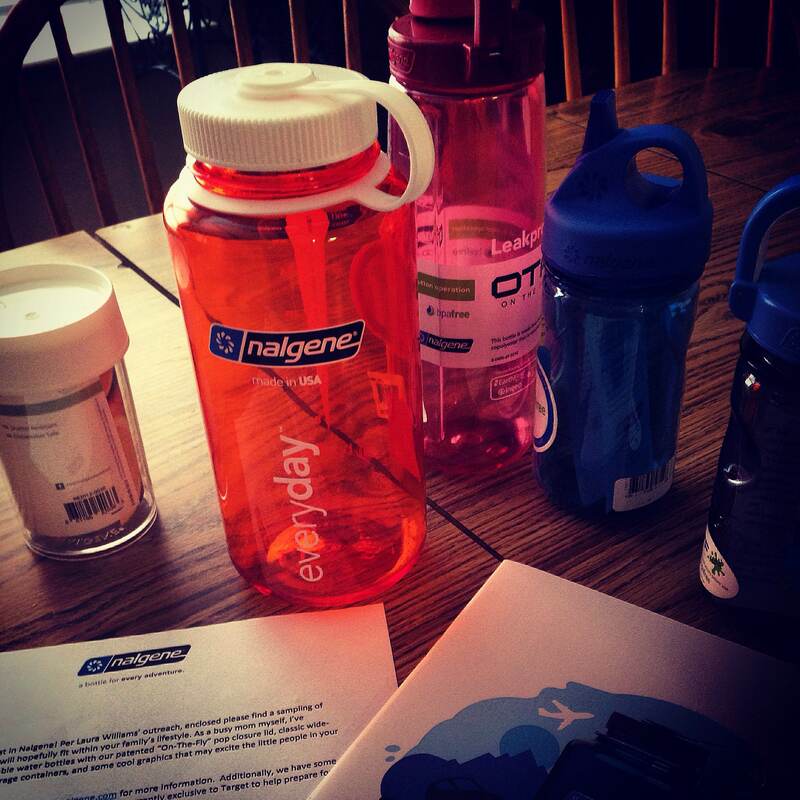 Check out www.nalgene.com and shop around! Note: These products were sent to me to review. I was not compensated for the review – these opinions are my own. If I am not impressed by a product, I will not share it with my readers! These opinions are my own!